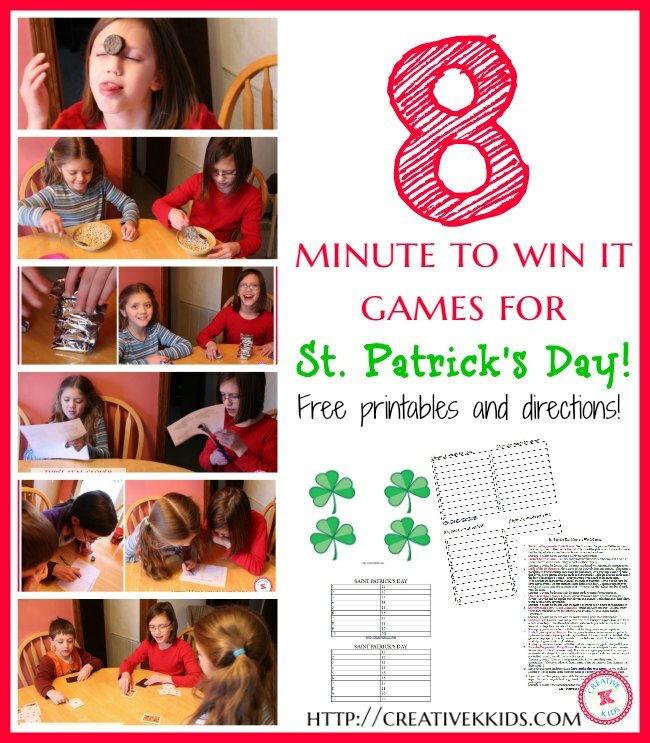 Been looking for some family friendly ideas for St. Patrick’s Day? 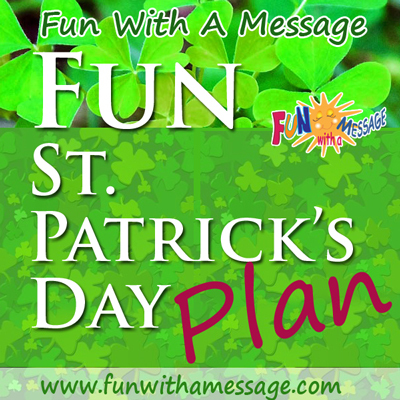 Fun With A Message shares some easy ideas to plan the day and have fun with the family! From decor to food, games, activities, and games we have the day planned for you! 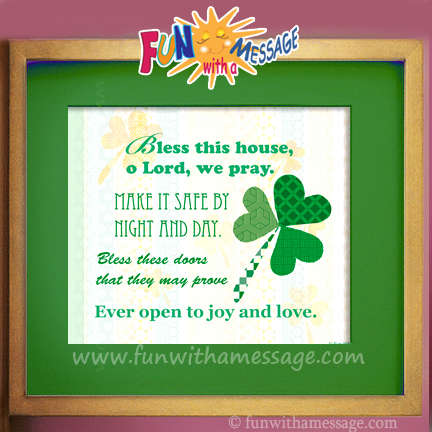 A fun new printable is our gift to you to celebrate St. Patrick’s Day Blessing your home and your family. 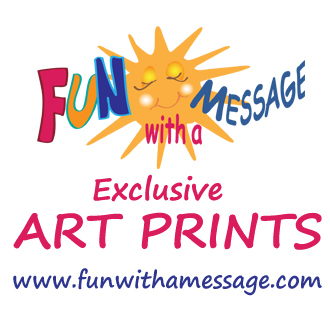 Fun With A Message creates printables that are free, fun and family friendly. Don't miss out on FREEBIES, new giveaways or fun announcements. Get it right to your inbox via email. We don't spam! See the end of our post for instructions on how to download. This craft will help kids practice not only to paint but experiment with textures, shapes, and patterns. Water based paint: green, white, yellow and purple. Tracing paper or wax paper. For a step by step instructions, see our post here. 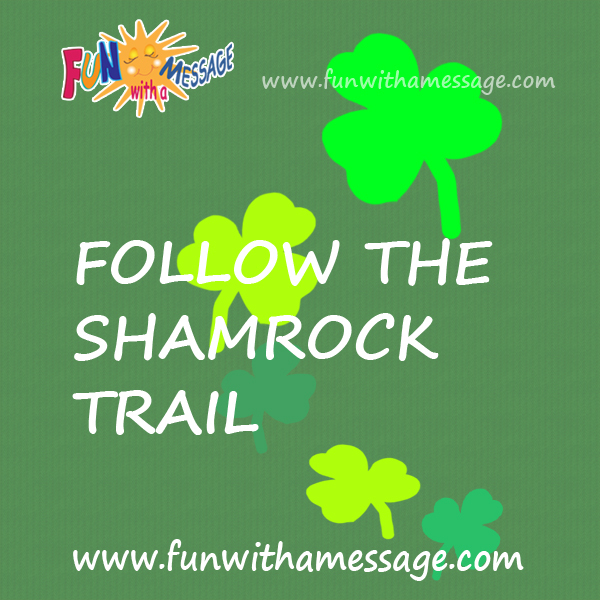 Lay the shamrocks along a path thru the playroom that leads them to find a treasure. You can use a small treat as the treasure. A fun secure experiment with thing you have at home. Needs close parental supervision. Place all the toys in the bowl and have the kids dig for their toys. A sweet start for St. Patrick’s Day! A fun and nutritious breakfast for the whole family with these naturally sweet crepes with a hidden veggie puree inside the batter! They taste delicious and sweet ! A sweet end for St. Patrick’s Day! Best green desert ever! Combine and mint and you get yummy! Found this ultra-fudgey mint-chocolate-chip pie at Chocolate Covered Katie. Adding the green whip on top seemsperfect for the occasion. If your kids don’t like mint favor just add a little food coloring to a bit of whipped cream. After you confirm your subscription, the Fun With A Message Irish Blessing link will be delivered via email. Please make sure to add Fun With A Message to your email contacts. If you don’t see it in your inbox, check the spam and junk folder. 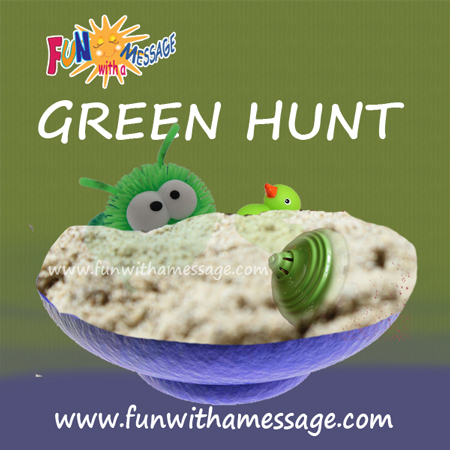 To subscribe simply type your email on to the Subscribe Box above entitled: SUBSCRIBE TO FUN WITH A MESSAGE. *For personal use only. Not for resale. © Copyright 2015 Fun With A Message. If you would like to reprint or use any of the material in this article please contact us. This post might contain affiliate links. Please see our disclosure page for more information. 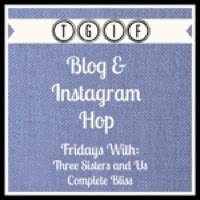 We’ve shared this post on some fun blogs like theevolutionofmom.com, christianmommyblogger.com. Check them all out on our Fun With A Message Links & Shares page. Great round up! Thanks for sharing at the Thoughtful Spot Weekly Blog Hop! We hope you join us again next week! Wow! These are some great ideas for the kiddos! Thanks for sharing with us on the Momma Told Me Link Party. We hope you’ll come back soon! What great ideas! Love the printables too! 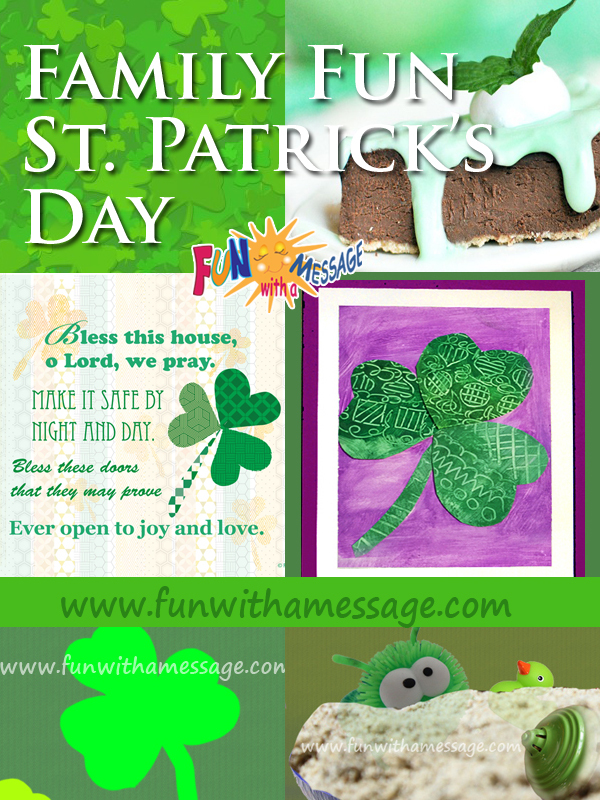 I would love it if you would share this post on my St. Patrick’s Day Blessings Linky (no link-back required). What great ideas!!! I love the “Irish Blessing” one!! What great ideas – that pie looks delicious! Thanks for sharing with the Frugal Family linky! What great ideas! Thank you for linking up with the Frugal Family Linky! Oh my goodness, how CUTE is this!?! There are just so many fun and whimsical ideas out there to help us make the most of each season. Thanks for sharing!!! we don’t celebrate st patrick but they all look lovely. These are great ideas! Thanks so much for sharing. Green crepes, rainbow in a jar, AND a green hunt! And those are only distinguished as being my favorites of many great ideas. Fantabulous!! Thanks for stopping by Motivating and Rejuvenating Mondays! Thanks for linking up at the Get Your Shine On party. Love all the creative ideas and recipes! 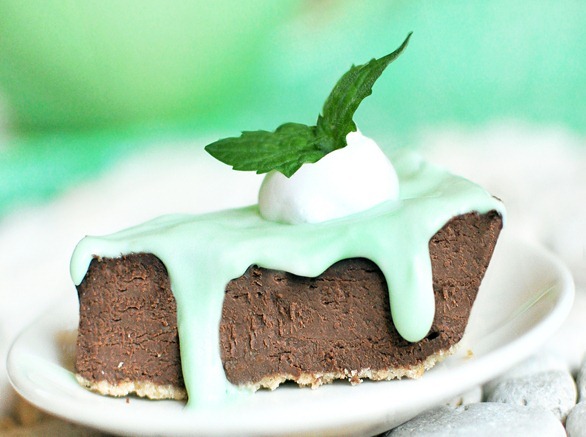 Last one is always the best – choc and mint pie, mmmm. Nice selection of Saint Patrick’s Day Activities. I’m a paper crafter myself and I just adore your shamrock craft. It’d be good for Toddlers or Teens! Thanks for linking up all the great St Patrick’s Day ideas!!!! Thank you for visiting and the opportunity to share Lisa! 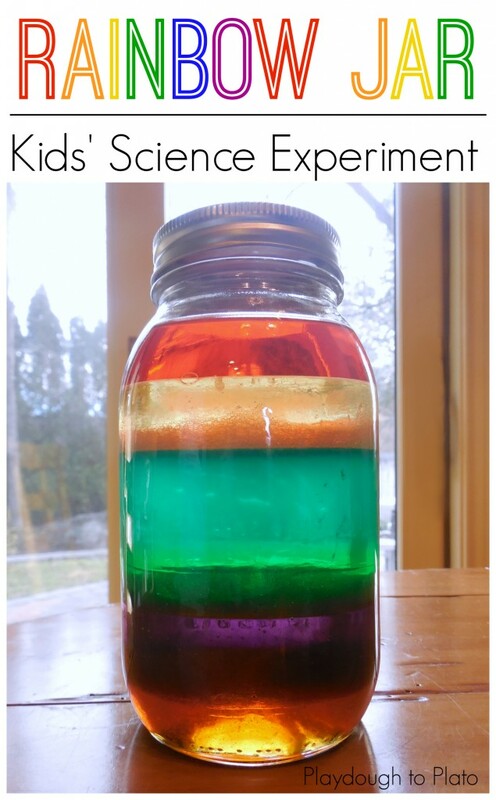 Loads are great ideas, the rainbow jar science experiment looks good and I love the look of that pie! Goodness you really do have the day all sewn up, what a comprehensive guide to things to do.